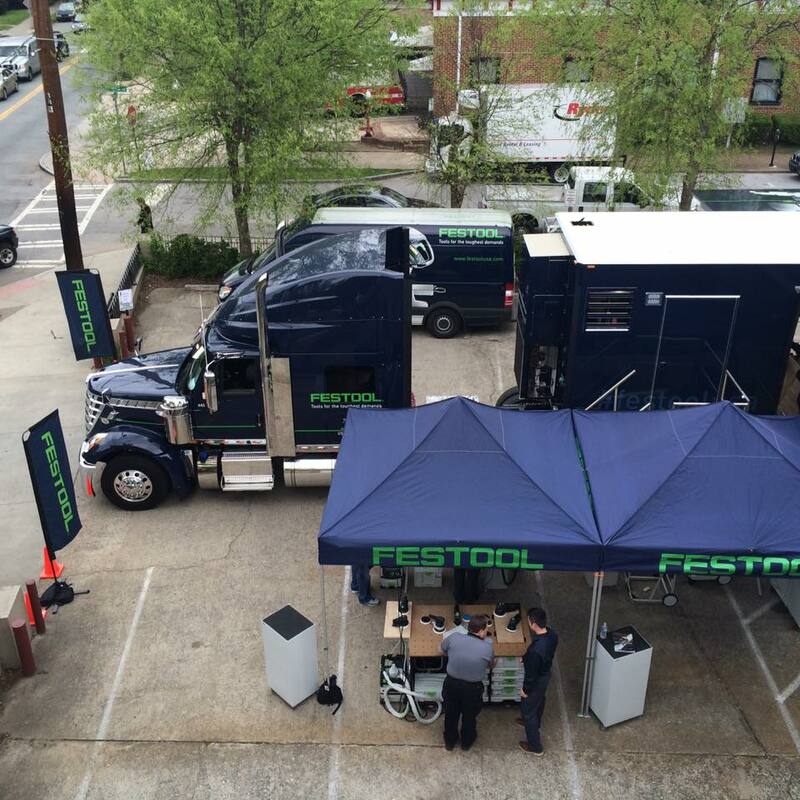 The Festool Roadshow came through Atlanta, GA last Friday, April 15th and setup in our parking lot at Highland Woodworking for a day full of Festool demonstrations, giveaways, education and more! 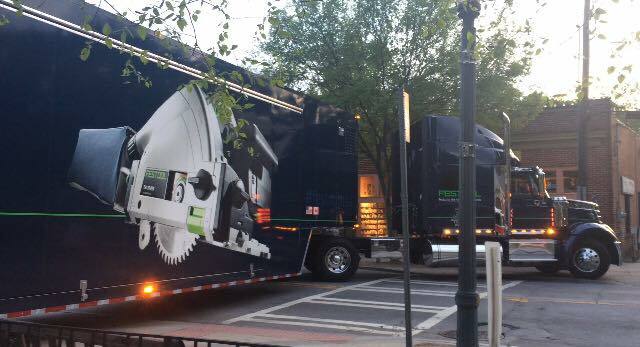 Festool Roadshow truck driver Eric Wilfong utilized the help of several Roadshow staff members blocking traffic on the street to squeeze his 70-plus foot long rig into the narrow entrance to our parking lot. 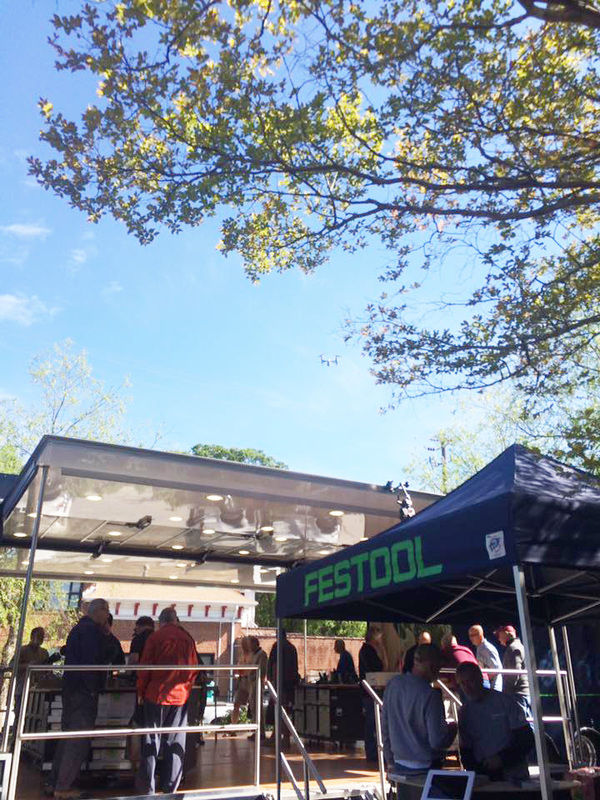 The weather was perfect for the event and we had a great turnout throughout the day! 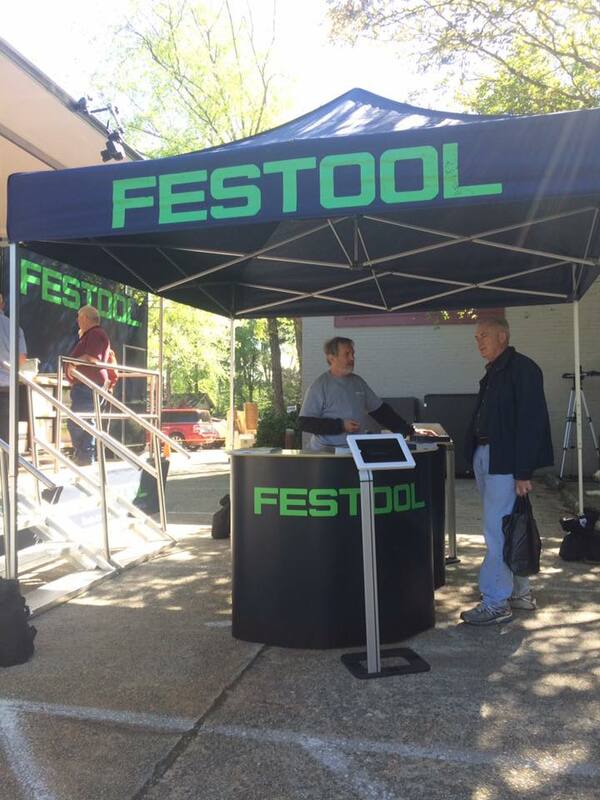 Over 100 people stopped by the event! 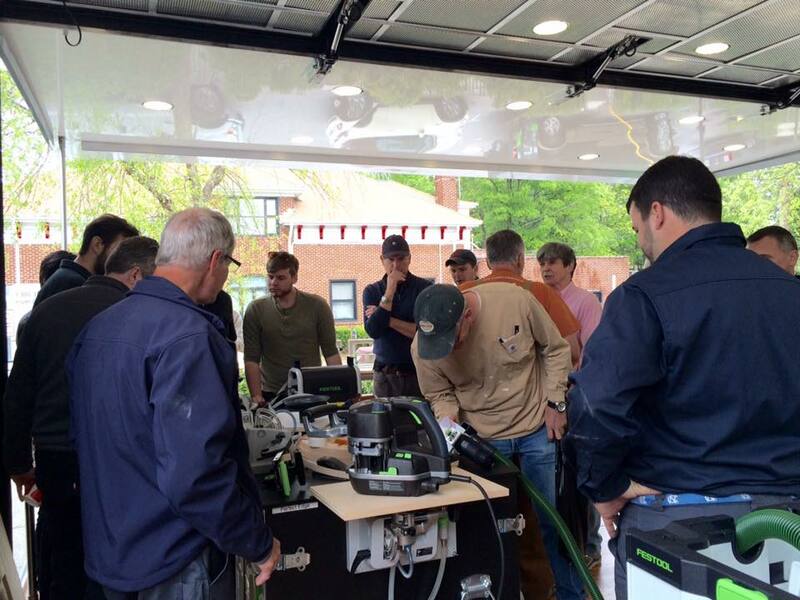 Chris Bagby, owner and CEO of Highland Woodworker, was there to greet everyone who attended. 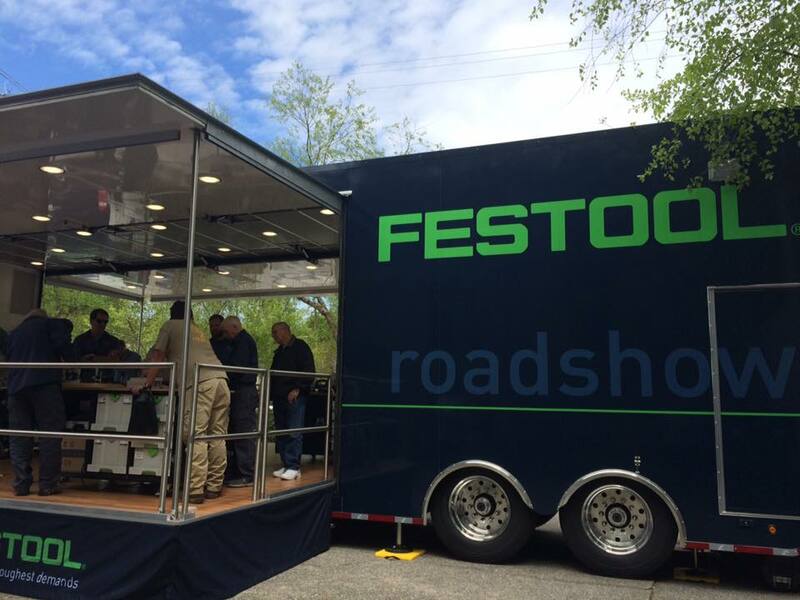 The Festool Roadshow truck was an attraction within itself! 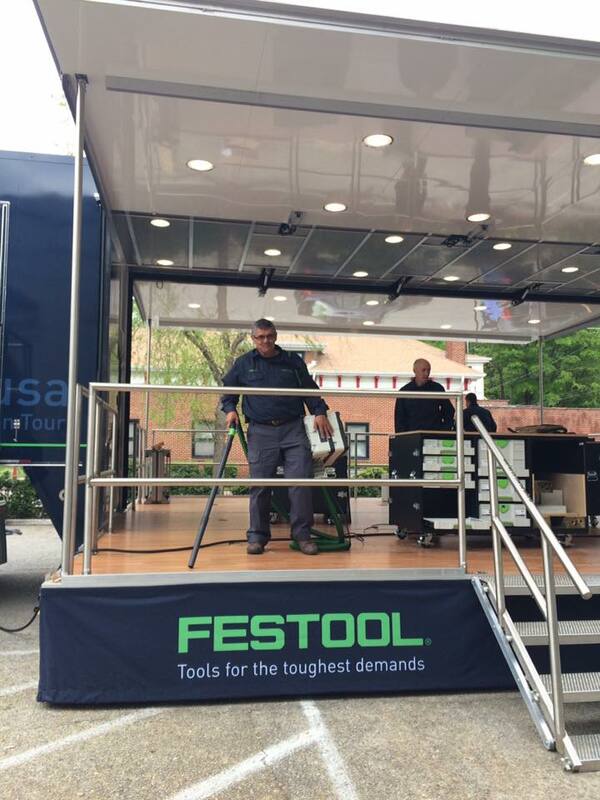 The truck opens up into a giant floorspace which allows the set-up for different Festool demonstration stations. 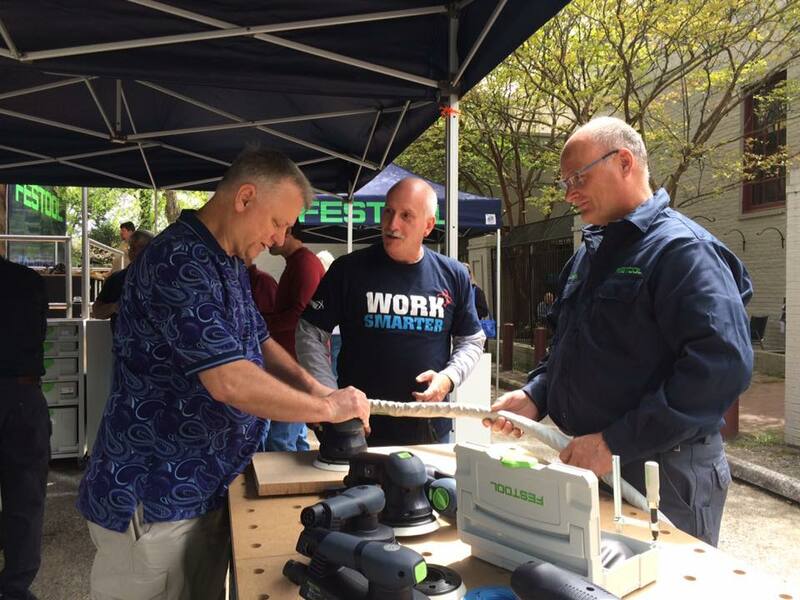 Several members of the Festool show staff were on hand to give demonstrations of all of the different Festool tools, as well as answer any questions. The staff in attendance were Larry Smith, Allen Kensley, Georg von dem Bussche, Jeff Covey, and Robert Hatfield. 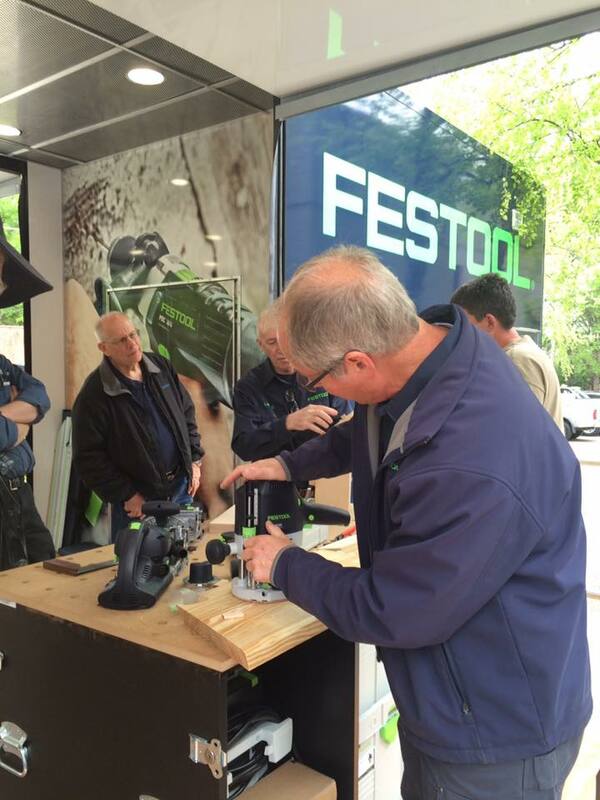 The Festool Roadshow was a great chance for people to test out any of the Festool tools and learn how to use them. 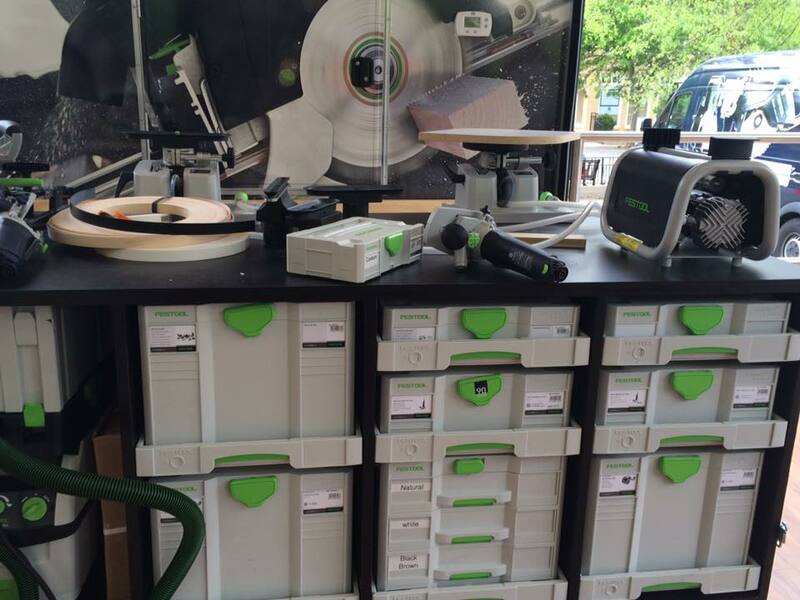 Every Festool you buy comes in a convenient systainer that is easy to carry, pack up, and helps to keep your shop tools organized! 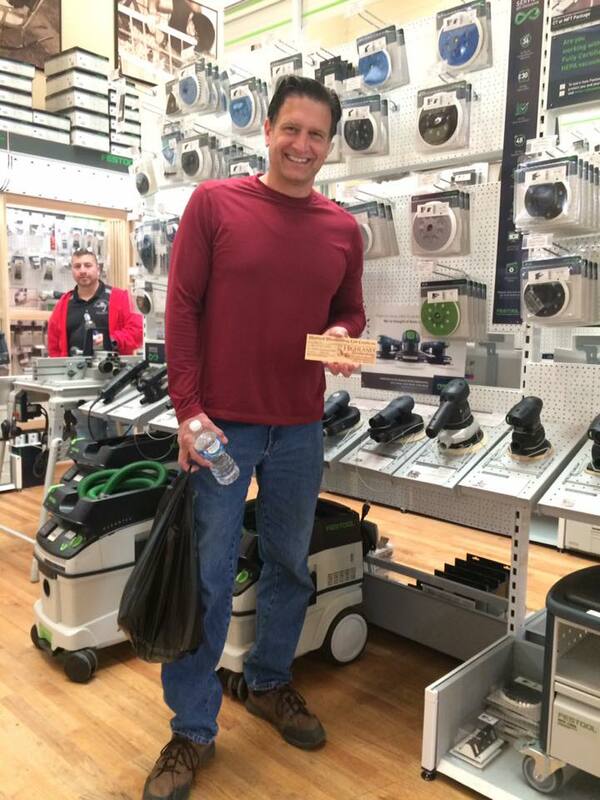 In the middle of the event, Highland Woodworking had a drawing where 1 lucky attendee, Doug Frey, took home the Grand Prize of a $300 Highland Woodworking Gift Certificate. 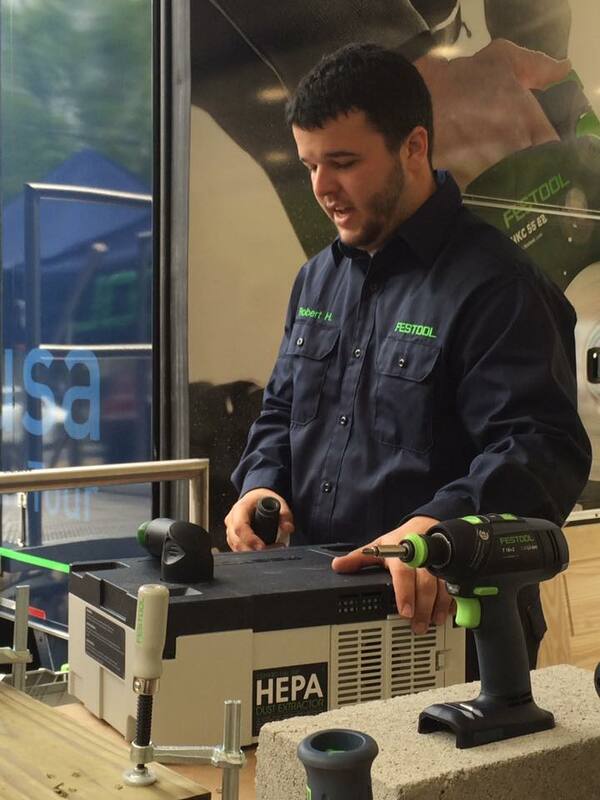 Doug Frey, winner of our in-store giveaway standing in our Festool department at Highland Woodworking. At 2pm it was time to close up shop. 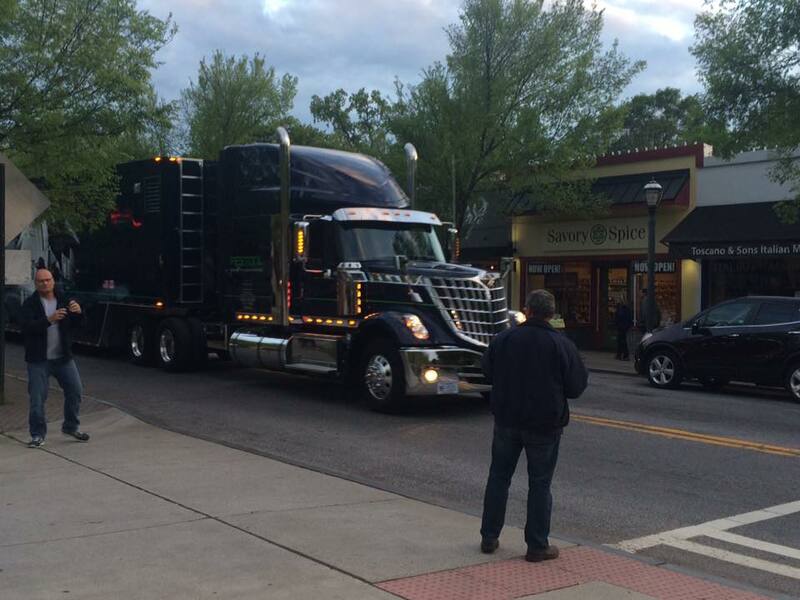 It was very interesting to watch them “tear-down” and get everything ready to move along to the next stop in Nashville, TN. 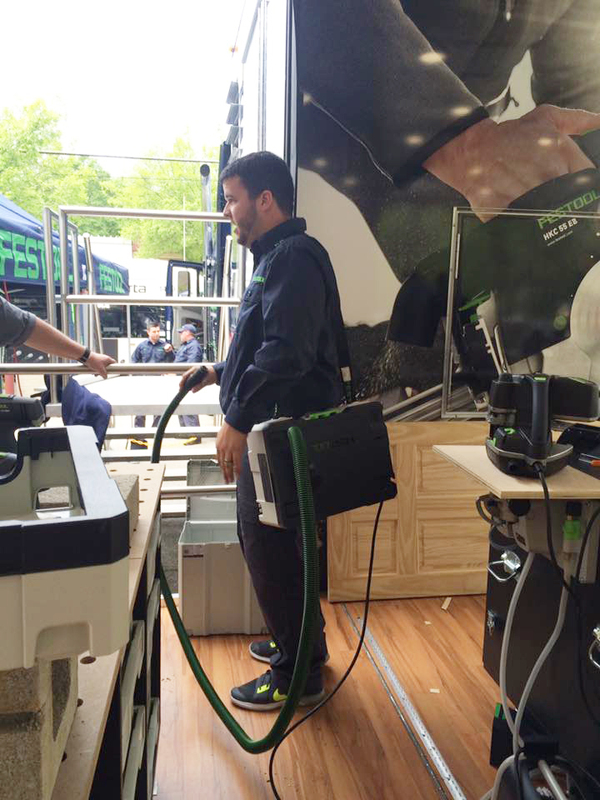 They were even able to put the Festool CT SYS HEPA Systainer Dust Extractor to work in order to clean up all of the day’s dust and shavings. 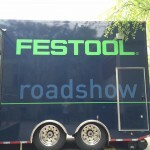 To see more photo’s from the Festool Roadshow at Highland Woodworking, checkout our Facebook Photo Album. This is one event I would’ve, really, liked to visit all the way from our red-duned Kalahari. You people in the USA, taking part in such Wood Working events, have all the learning-joy to see what’s happening. ENJOY, good luck & God bless you all.